It features 8 different routines plus a warm up and warm down. Suitable for all levels of the game, it is easily adapted to the quality of your players. Everybody does the same exercises but the coach controls the intensity of the session by varying distances run, rest intervals between exercises etc. Instructions are given in the film and at over 80 minutes running time you will learn many of the latest methods used by the top fitness coaches throughout the pro game. Many of the routines need a football so the player conditions the muscles actually used in a game. The routines promote speed, flexibility, stamina and muscular endurance in a series of enjoyable exercises. Skill levels are also raised as the player has to make many touches of the ball. 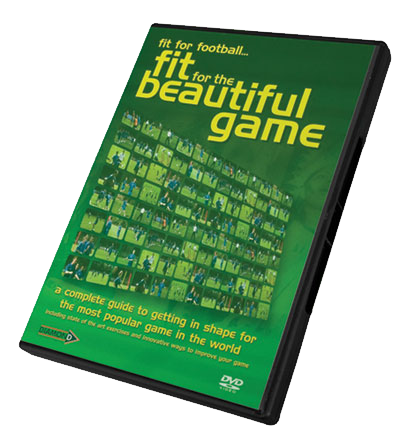 This is a high quality film (Diamond Football RRP £11.99) containing the latest state of the art methods and you and your players will benefit greatly from the regimes it contains.